Education of children in rural areas of Africa is always a challenge. The more rural the greater the challenge. The closer you go to the larger cities the higher level of education you will receive at a cost…….? To be honest, the quality of education you receive depends on how much you can afford for ‘School Fees’ which will include travelling expenses, uniforms, suitcase/school bag, accommodation and etc…. 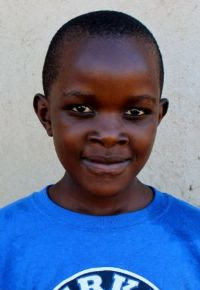 Chippo is the last born child of Ps Bernard & Molly for whom we are seeking a student sponsorship please….. Presently, Ps Bernard & Molly together with other ministry responsibilities, pastor a church of +/- 120 members with a monthly average income of $2 – $5. You will realize that this does pose financial challenges for Ps Bernard & Molly and the whole family. 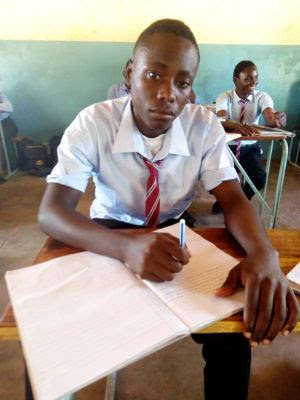 Therefore, we want to ask you prayerfully consider sponsoring Chippo to enable him to receive quality education in Lusaka. Will you prayerfully consider supporting a child that is not able to complete their schooling due to lack of monies? In rural Africa many children are not able to complete their secondary schooling. The unfortunate result is that the children then remain in the cycle of poverty and their is no hope of a better future. Sponsoring a orphaned/vulnerable child creates hope for a better future, not only for the specific child, but also for the family.